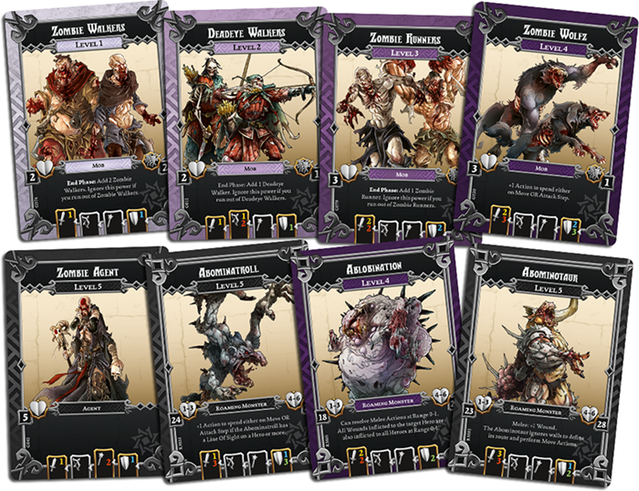 The set not only allows you to use your Zombicide: Black Plague (retail version, mind you) survivors in Massive Darkness, it also lets you use all those zombies (including the Wolfbomination, Abominatroll, Ablobination, and Abominotaur). The zombies are mobs, with bigger zombies as the boss. Then there's the Necromancer, who works as an Agent. But it's not just Zombicide-to-Massive Darkness. 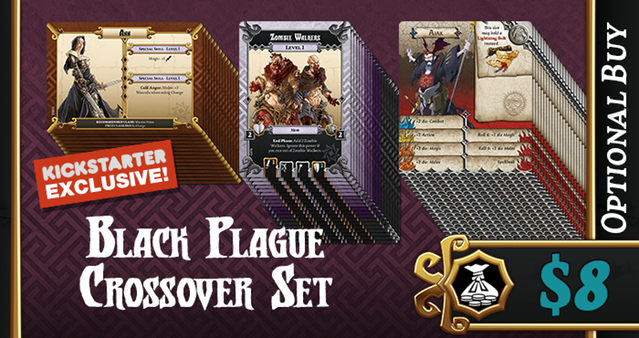 The add-on also includes cards so you can use the Massive Darkness base heroes in Zombicide: Black Plague. 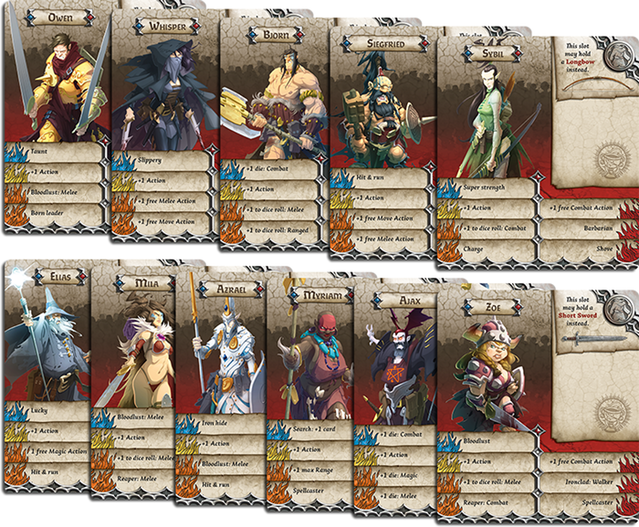 Still 20 days to go to be part of the Kickstarter campaign for Massive Darkness.